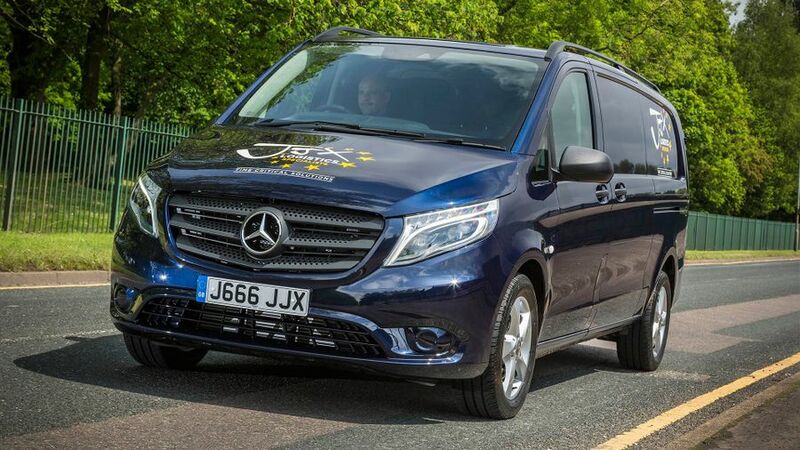 The Mercedes Vito faces up to some stiff competition in the medium-sized van sector, but it brings a selection of quality touches to help it make its case against more popular rivals. The medium panel van sector is a highly fought one, with the likes of the Ford Transit Connect, Renault Trafic and Vauxhall Vivaro all hogging the top of the sales charts. The Mercedes Vito faces a stiff task to stand out against such decent competition, but it goes a long way towards doing so by offering a fantastic automatic gearbox and a good standard of equipment. However, it lets itself down in the cabin, in terms of both ergonomics and storage space. Interested in buying a Mercedes-Benz Vito? 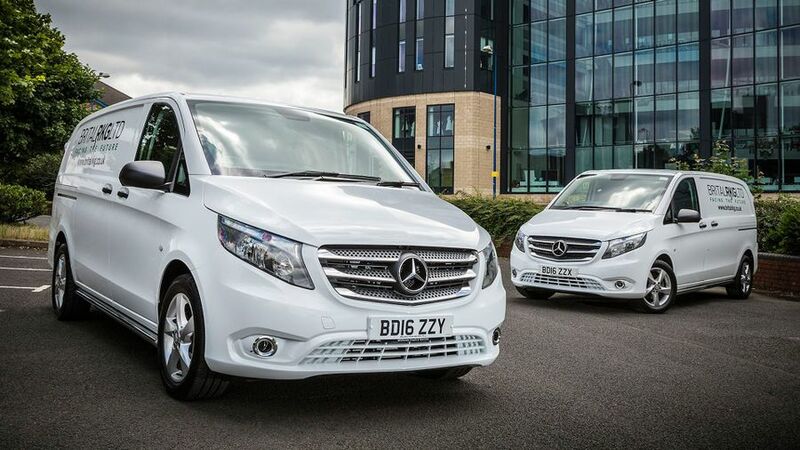 While the Vito has three lengths on offer, the choice of body shapes is slightly more restricted than in some rivals. This is because there is just the one height to choose from, with Mercedes not offering a taller version, as the likes of Volkswagen, Vauxhall and others all do. Despite this, the cargo bay has a decent amount of space, with loading lengths ranging from 2586 to 3061mm, meaning the longest model offers a larger loading area than the likes of the Vauxhall Vivaro and VW Transporter, although this does require the use of a small compartment underneath the driver’s seat that extends the length by 370mm. The payload of up to 1,369kg is decent, thanks in part to the rear wheel-drive option that is a rarity in this class. The loading bay doesn’t hold too many special tricks on the inside, although there is the option of a top-hinged door for those that want something a bit different to the more common side-hinged arrangement. It’s a hefty door, though, so needs a firm slam to make sure it shuts properly. Mercedes has a reputation to protect in the wider automotive industry, with the company's badge bringing a certain expectation when it comes to cabin quality. 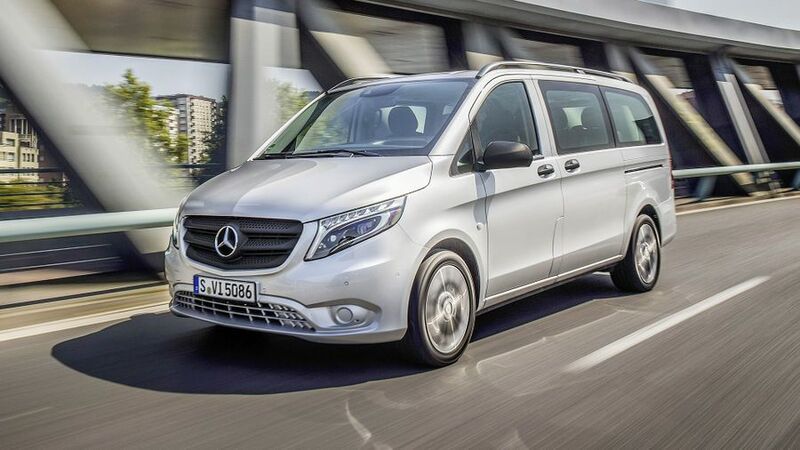 It’s no surprise, then, that the Vito is right up there with the best in the class in terms of its cabin appeal. It's pleasing to the eye and has a feel of quality and solidity, even if It’s not quite an array of soft-touch leathers and fabrics. Some elements are less impressive, though. For example, the colour screen that forms the satellite-navigation display looks like it should be a modern touch-screen, but in fact it's a more outdated version controlled by dials and buttons. The position of the USB socket is not great, either, as it's sat below and to the left of the screen, meaning any charging cables will drape across the dash. Storage is acceptable, rather than great. There are just two cupholders – meaning the third passenger will have to hold a drink as well as sit in the cramped middle seat – two door pockets on either side and a relatively small glovebox. There are also three storage bays on top of the dash, but none are covered, meaning there isn’t a large amount of space to tuck things out of sight. The driving position is acceptable for a six-foot adult, but those who are much taller might feel a bit cramped. The other 'oddities' are specific to Mercedes and won’t bother many drivers, although others will never get used to them. The foot-operated parking brake is released by a handle to the right of the steering wheel, and the automatic gearbox is controlled by a stalk next to the indicators. Going for more power doesn’t mean missing out on good fuel economy, as the 119CDI engine is the most economical, with average fuel consumption as high as 47.1mpg in the panel van version. This puts it up with the most economical Vivaro and Transporter, and ahead of the likes of the Ford Transit Custom. Such good economy is helped by a stop-start system, which comes as part of the BlueEfficiency package. This package also adds aerodynamic tweaks and low rolling resistance tyres - all things that shouldn’t have a noticeable impact on how the Vito drives. Service intervals of 24,000 miles or two years should help keep costs down, too. The standard warranty on the Vito only runs for three years, but it is an unlimited-mileage policy, which goes some way to making up ground on rivals that cover the vehicle for longer. 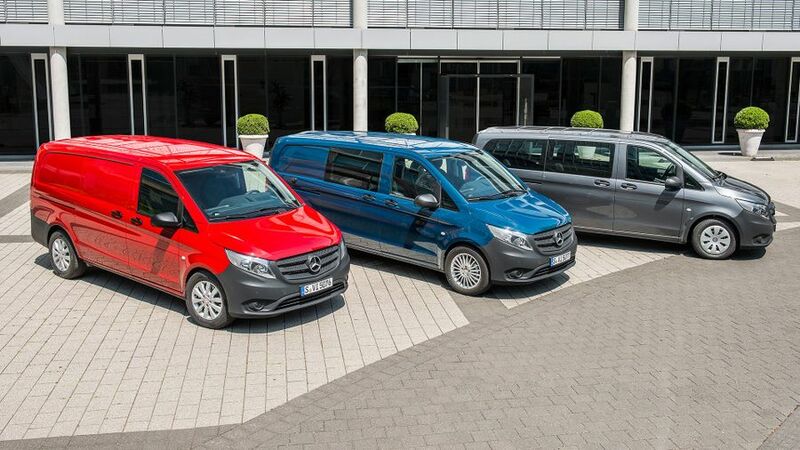 The lower-powered engines are shared with other vans, and the larger versions are from Mercedes’ passenger car range, so there is little to worry about whichever one you go for. Mercedes also provides roadside cover, which is available for as many as 30 years, so long as the van is always serviced by Mercedes. There are only two engines in the Vito range, but thanks to the wide selection of power outputs, there is a decent amount of choice. The 1.6-litre diesel, which comes with either 88bhp or 114bhp (badged 109CDI and 111CDI, respectively) and is shared with the likes of the Vauxhall Vivaro and Renault Trafic, is perfectly decent in many ways. However, torque tops out at just 230Nm in the lower-powered version, so they are really best suited for lighter, urban workloads. The bigger 2.1-litre engine is Mercedes’ own unit and is much more suited to the heavier-duty jobs. It provides a generous amount of low-down strength, meaning that it will be up to lugging heavy loads and towing, with a hefty 440Nm of torque available at just 1200rpm in the most powerful 190bhp 119CDI model. Although you expect a degree of noise in a van, it's intrusive, even in the more powerful versions. As well as the gruff sounds normally associated with diesels, you also get the whooshing noises from the turbocharger. One element of the Vito that is slightly more car-like is its steering - it lacks the heaviness of some rival systems, which makes it lighter at lower speeds and around town, while it weights up at faster speeds. In some ways, this is a good thing - it makes urban manoeuvres a bit easier, for example - but it won’t be to everyone’s taste. Likewise, the ride is controlled and generally comfortable, but a little on the firm side. One thing you will enjoy in the Vito is the seven-speed automatic transmission, which is as good as you can get in a van. It's smooth and makes urban jobs much more relaxed than a manual or a lesser auto. There's generally no need to use the steering wheel-mounted paddles, though, and they're rather slow to respond in any case. Systems like Crosswind Assist, which helps keep the Vito in its lane in windy conditions, and Attention Assist, which monitor’s the driver’s actions to work out how alert they are, are the highlights of a decent list of standard safety equipment. On top of that, Adaptive ESP comes in conjunction with systems including ABS and an adaptive brake light, while hill-hold and a tyre pressure-monitoring system are also standard. Trailer stability is included if you go for the towing option, while blind spot warning and parking assist are all on the options list. Rather than the usual system of trim levels, the Vito offers a standard version and a couple of editions that add a selection of tailored equipment. The two models, named Sport and Urban Edition, add smarter looks and high-end kit to the basic trim. Sport costs around £1500 and includes 17-inch alloy wheels, colour-coded bumpers, chrome details, climate control and adjustable comfort seats. The Urban Edition brings high-end elements such as the seven-speed automatic gearbox, a reversing camera, satellite-navigation and climate control, and adds around £3000 to the price. This is all over and above the decent standard offering, which includes Bluetooth, cruise control, a wooden floor and load-securing rings in the loading bay. 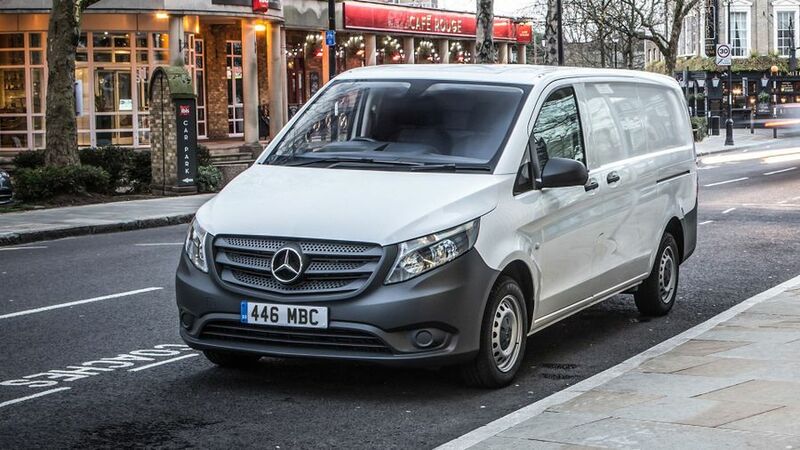 The Mercedes does, in some ways, offer a slightly smarter alternative to the mainstream models in the medium van sector, but it stops short of being luxurious. The materials in the dash are hard-wearing enough that they will cope with the rigours of working life. It does have a few strong factors in its favour - the automatic gearbox is excellent, and the standard kit levels are good. Some will want a more practical cabin, though, and a slightly quieter driving experience.